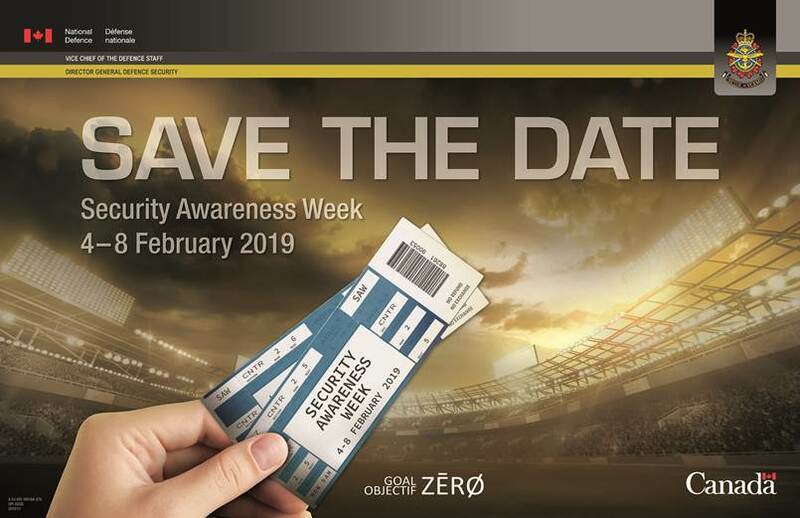 Security Awareness this year runs from February 4-8. Here is the local opportunity to increase security awareness. The Regional USS Symposium is on February 7, from 1-4 p.m. in the multi-purpose room at the Piers Military Community Centre, WP 106. All USS and Command Teams are invited. Topics of interest include the following: WebSCPS and security clearances (invited guest from DPSIM); security zoning and physical security; contract security and risk mitigation plans; and use of escorts. This is an opportunity for USS to update security clearance lists, change combinations, provide unit level awareness, and meet unit Command Team to discuss areas of concern.